Are you sick of having a Job? Are you "Just Over Broke"? The definition of job is exactly that, Just Over Broke! What if I told you that I could teach you how to live like the lavish wealthy & eventually have no job, no boss, no annoying co-workers, and no more 9 to 5 work days?! Its all inside of this book! I will wake up your sub-conscious that keeps you a slave to your company & get you motivated. You will learn how to create more easy wealth & to stop living like the lower class! I teach you how to budget your money, get better credit, learn how to attract money using the Law of Attraction, and even how to start your own online money machine! 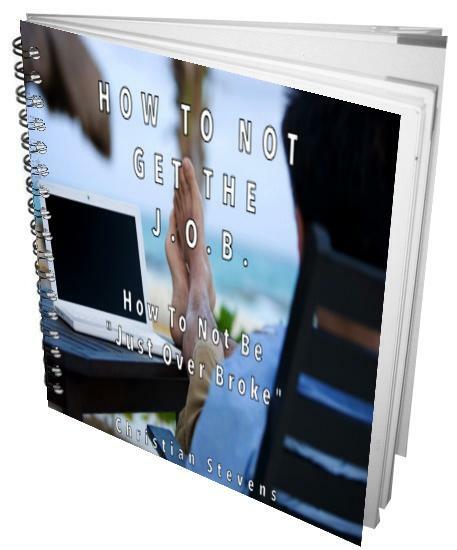 PURCHASE THIS E-BOOK ((NOW)) & STOP LIVING "JUST OVER BROKE"